French Cuff Formal Shirt. Guayabera Lace. Long Sleeve. High Quality Linen Premium. Drawstring Pants for Men. Linen Look. Runs One size Small. Natural Color. Elegant and Novel style. Shirt with finest embroidered details. Linen 100 %. Black Color. Slim Fit. Back Orders or Demand. Exquisite Guayabera. Premium Linen Guayabera. Black Color. Back Orders or Demand. 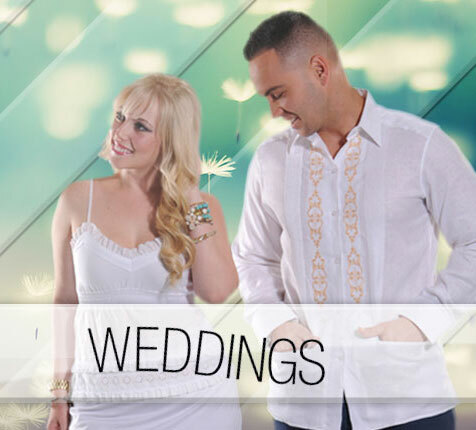 Exquisite Wedding French Cuff Guayabera. Linen. Slim Fit. Embroidered. Back Orders or Demand. Exquisite Embroidery Linen Guayabera . Slim Fit. Black Color. Back Orders or Demand. 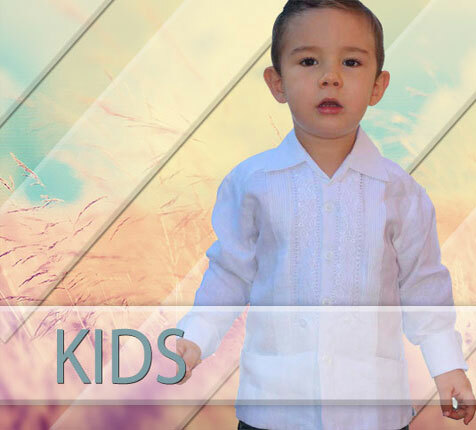 Guayabera Embroidered Big Events and Weddings. Slim Fit. Linen 100 %. French Cuff. White/Gold Color. Back Orders or Demand. Exquisite Embroidery Guayabera. Slim Fit. Linen 100 %. Aqua Color. Back Orders or Demand. Novel style. Embroidered Tape Detail. Slim Fit. Linen 100 %. Royal & Pink Color. Guayabera shirt, soft and elegant. Exquisite design for a destination wedding, events and festivities. Casual Linen Shirts, Cuban attire. Elegant and are essential for any occasion. ARE YOU READY TO FALL IN LOVE WITH GuayaberasCubanas?